As the CEO of Posit Science, people often ask me: how can I tell if a brain training program works? And how can I tell which one is the best? The right answer, of course, if that brain training programs should be shown to work in well-designed randomized controlled trials – just like you’d expect for a new medicine or medical device. Unfortunately, in the field of brain training, that doesn’t always happen. Companies can launch a brain training program with no evidence at all, and some companies have been found to have made false claims about their scientific evidence. What we need is a group of independent scientists to systematically review the all data from brain training companies, and carefully evaluate what has been shown to work – and what hasn’t. And for the first time now, that has happened. A research group at the Centre of Excellence for Alzheimer’s Disease Research & Care at Edith Cowan University in Australia, led by Dr. Tejal Shah and Dr. Ralph Martins, have just published that review in Neuropsychological Reviews. This is a serious scientific research group. Dr. Shah has previously led an innovative study using Posit Science exercises combined with physical exercise, showing improvements in verbal memory and increases in brain energy metabolism following training. 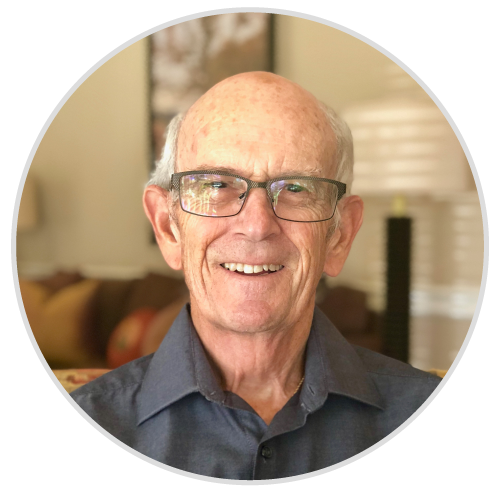 Dr. Martins is a leader in the field of Alzheimer’s research – his laboratory was the first to discover the biochemical pathway that leads to to production of amyloid protein plaques associated with Alzheimer’s disease. What Drs. Shah and Martins have now done is straightforward and at the same time innovative. They identified all currently available brain training programs (they found 18) – everything that an ordinary person has access to. They then comprehensively searched the scientific literature for randomized controlled trials of brain training programs used in healthy older adults – evaluating 244 published articles to identify which articles supported the use of which brain training programs. From this list, they distilled this down to 26 key studies. What they first found was that 11 of 18 brain training programs simply had no published evidence whatsoever. That’s amazing – and disappointing. In my opinion, a company should not be allowed to sell a program that simply has not been evaluated in a scientific study. Of the remaining 7 brain training programs, I’m very happy – but not surprised – to say that Posit Science came out on top – way on top. We had by far and away the most published studies, and were the only brain training program with at least two high-quality studies (we actually had 8). Of course many more papers have actually been published using our exercises – each study typically results in several papers. When you measure by published papers, at last count there were 56 papers published about Posit Science brain training exercises from studies in healthy aging (and more than 120 including clinical conditions like brain injury). In this review, our closest competitor had only one high-quality study and one medium quality study, and the rest had only one study, often rated moderate or low quality. This is an important review, because often people evaluate the scientific literature on brain training and come to the conclusion that the evidence is mixed. But the reason that happens is because studies from all brain training programs are grouped together – and of course some are effective and some aren’t – so the result is a mess. It’s as if cancer doctors took evaluated everything from modern anti-cancer immunotherapeutics to pocket lint and concluded that the evidence was mixed that cancer could be treated. That would be silly – although that’s what some reviews of brain training have done – and I’m glad to see a review that was conducted more sensibly. So the next time someone asks you how to tell if a brain training program works, and which one works the best – let them know that the verdict is in. An independent group of top scientists has comprehensively reviewed all the scientific publications – and the answer is BrainHQ from Posit Science.